In the modern era, using professional email accounts to undertake business operations is more of a culture. A company that uses business emails to interact with clients is considered to be far more reputable than a business entity that doesn’t. Therefore, it would be completely imprudent for any company to ignore the importance of business emails and carry on with free email accounts to facilitate its business operations. However, even after deciding on using a professional email account for their company, mainstream business owners find themselves in a tight spot when it comes to choosing an email hosting service provider. There are so many players in this segment in the internet space that it has become utterly confusing for service seekers to filter out the good from bad. The following section compiles the list of few tips that will help you to decide on the right provider of email hosting services. Take a look. When you become an exclusive customer of a hosting company, you should be provided with a premium access to the customer support executive in the wake of any problem with the email network that you want to resolve on an immediate basis. Therefore, see to it that the company connects to a customer support executive directly whenever you face some issues with your email server. 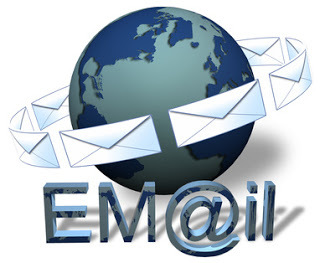 A significant lot of your email data carries sensitive company’s information or its operations. The company should take adequate measures to ensure your emails flow within a secure environment and there is no room for any kind of security breach that could risk the integrity of your company. Since emails form the backbone of business communication, you don’t want to come across a situation when your email server is down and communicating with clients or customers is no longer possible. You need to make sure that the company provides maximum uptime possible and maintenance should be performed only during off-work hours. These 3 tips mentioned above act as a barometer against which you can evaluate the quality of any email hosting service provider. Therefore, it is advised to go through them prior to getting started with the search of the right email hosting service provider for your business.